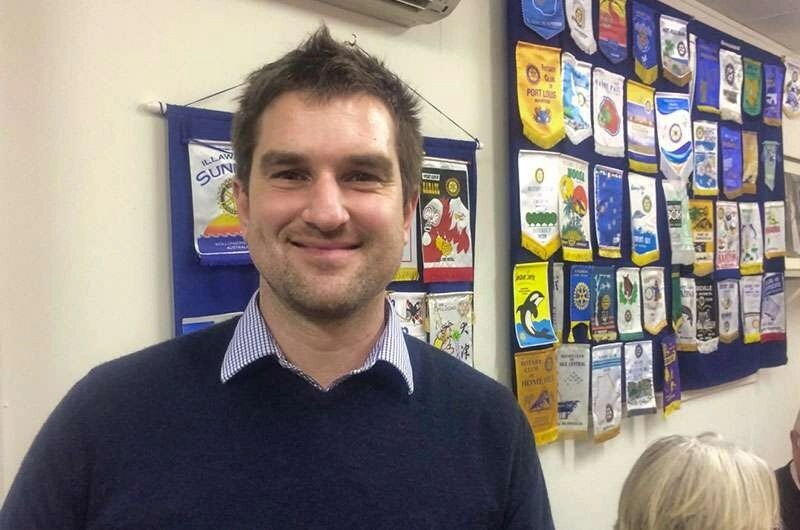 The Rotary Club of Hall has been an annual, longtime supporter of the Abundant Water project and recently had a visit from Tristan Skinner, Fieldwork Advisor with Abundant Water. Tristan Skinner of Abundant Water speaking at the club’s weekly meeting. Tristan provided the club with a background understanding of the situation in Timor-Leste and updated the club on a new Abundant Water project the organisation is undertaking in the region. In 2017, Tristan spent 10 months living in Timor to scope the new project. His work included understanding the need and approach for water quality projects in Timor, finding local partners, designing the project and undertaking initial market testing of water filters. Abundant Water has now signed MoU with local partners, employed a local project manager and is now training the local project manager in the Abundant Water social business model. The Abundant Water social business model is a scalable and sustainable way of empowering local communities to access clean water. With the help of Hall Rotary Club, Abundant Water now has 3 years of core funding to initiate the project. The photo above: A teacher at a local primary school in Timor-Leste with her pilot filters for her classroom. Feedback from the pilot filters indicates that the filters worked well with a high uptake, use and successful treatment of poor water quality.